Almost anyone can benefit from Systems Health. 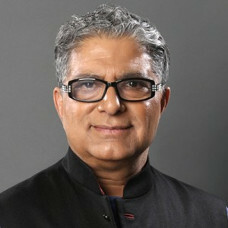 On the one hand, while valuable to Western-trained scientists, engineers, medical professionals, M.D.s, Ph.D.s, MPHs, RNs and physical therapists, it is equally, if not more applicable and beneficial, to complementary and alternative practitioners, be they yoga teachers, acupuncturists, chiropractors, holistic practitioners, naturopaths and ayurveda practitioners, among others. In addition, coaches and trainers, professionals, personal trainers, life, wellness and executive coaches and business owners— basically anyone interested in finding and/or teaching a holistic systems approach to life, health and well-being— will benefit. Systems Health is fundamentally an education technology that embodies what Shiva wanted to achieve as an ambitious child nearly 50 years ago. 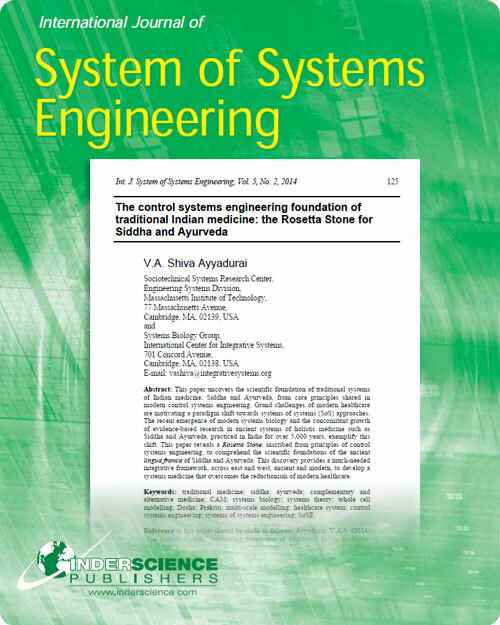 That ‘aha’ led to Shiva publishing a seminal research paper in an international systems engineering journal. He had realized that the ancient yogis and sages of India were not just men in saffron robes, but systems scientists, who had created a core science for understanding all systems: our body, the trees, the world, the cosmos and beyond. 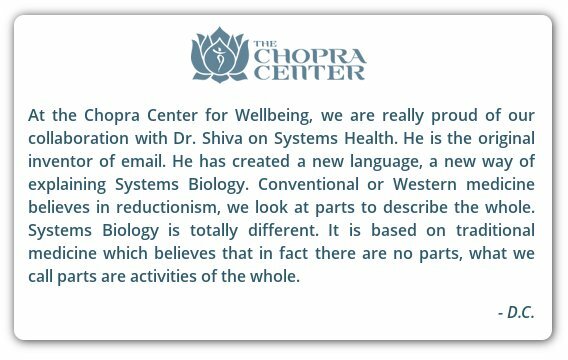 What Shiva discovered and organized into Systems Health is a profound educational program that provides the bridge between Western engineering controls systems theory and Eastern systems of medicine such as Siddha and ayurveda. 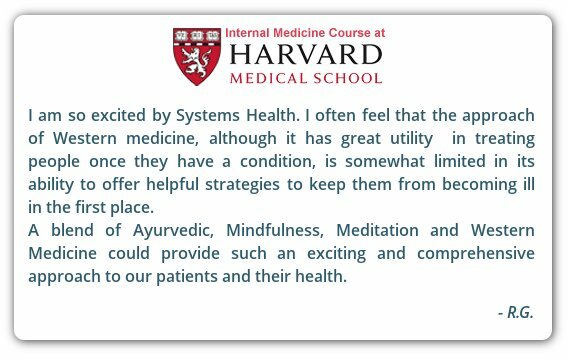 Systems Health makes the ancient knowledge not only accessible to all, but also credible to the Western scientific audience by providing the scientific foundation that takes it beyond “woo woo” medicine to something tangible. 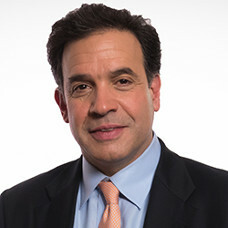 With Systems Health’s one-day workshop, Shiva has removed all the “fat” and distilled the essence to a set of finite principles, thus he can teach anyone the foundational principles in one day. Attendees discover the interconnections of matter and energy described by modern systems theory. Remarkably, these are the same interconnections described by Siddha and ayurveda, which originated in India 50 centuries ago. None of this requires any conventional scientific training. In fact, the laboratory for these investigations is our own body, which is understood as a template for a much larger, all-encompassing reality. The result is an integrative, genuinely holistic perspective on health and the human physical self. 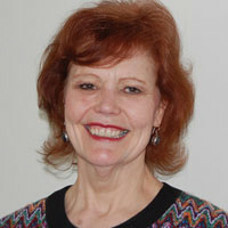 Attendees also receive a Systems Health Educator certification to use Your Body, Your System®. Your Body, Your System enables a certified Systems Health Educator to generate additional revenue. Using the tool, the educator can help others understand in a simple three-step process what kind of system their body is, how their body is “off course”, and what inputs they can use, be it diet, exercise and mindful practices to bring their body back on course. It’s fundamentally an education tool to teach them their body is a system, no different than an airplane which has a destination— a goal, and that it is through constant adjustment and changes in a dynamic world, we maintain health and well-being. The educator can charge $50 or more per session. It provides an additional source of educational income for those that teach yoga, life skills, weight training, or anyone that interacts with consumers dedicated to improving themselves. Experience the direct interaction with Dr. V.A. Shiva Ayyadurai, one of the leading world-class minds and change makers of the 21st century. Cambridge, Massachusetts is located in the heart of world-class educational and research institution of people from over 100 countries. We are minutes from Harvard Square, MIT and Boston. You will meet and make friends with people who are committed to expanding life in unimaginable ways. There are many wonderful, easily accessible and affordable hotels, bed and breakfasts, Airbnb’s within 10 to 15 minutes of the workshop location. We also provide free parking. Systems Health® is based on a scientific and systems theoretic understanding. 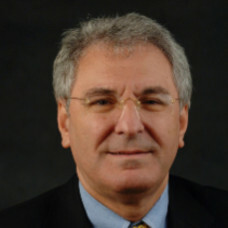 Dr. V.A. Shiva Ayyadurai’s work at MIT and as a part of his Fulbright research on Siddha and Systems Biology resulted in recognizing the correlation between the lingua franca used in traditional systems of medicine and modern control systems engineering. Please submit the form below to download the research paper. A link to the download will be sent to your email address. The Teacher Training & Certification Program allows registrants to becomes Systems Heatlh® Educators. Unlike the FREE Educational Program, the Training & Certification Program also includes additional training in the use of Your Body, Your System®, our online Educator’s tool. Using Your Body, Your System®, a Systems Health® Educator can work with their clients, students, fellow practitioners, friends, colleagues, and others, to understand in a simple 3-step process: 1) What kind of system their body is; 2) How their body is “off course”; and, 3) Which inputs they can use, be it diet, exercise, and mindful practices, to bring their body back on course for optimal health and well-being. The Teacher Training & Certification program can be completed either online, or at a 1-Day Intensive Workshop held in Cambridge, MA each month. LEARN Systems Health® directly from its creator to know the Science of Everything on how Your Body, Your Life, Your World is a SYSTEM. DISCOVER The Ultimate Knowledge Bridging the Ages of India’s 5,000 Year Old Ancient Healing System (Ayurveda & Siddha) and Modern Western Systems Science. GET CERTIFIED on Your Body, Your System® – a revolutionary educational technology that allows you to know your body as a SYSTEM. AND, EDUCATE your clients how to discover what is right for their body, their system. Yoga Teachers, Nurses, Personal Trainers, MD’s, Mental Health Professionals, Acupuncturists, Physical Therapists, Naturopaths, Life Coaches, Ayurveda Practitioners, Chiropractors, Massage Therapists, Performance Trainers, and Anyone Dedicated to Improving Life. $250 with $1000 Scholarship for Qualified Practitioners. All payments are processed via Credit Card. You may also pay at the time of event. But please reserve your seat by contacting us directly. Join the Workshop. Join the Revolution.